What are you doing next weekend? Or this summer? No plans yet? 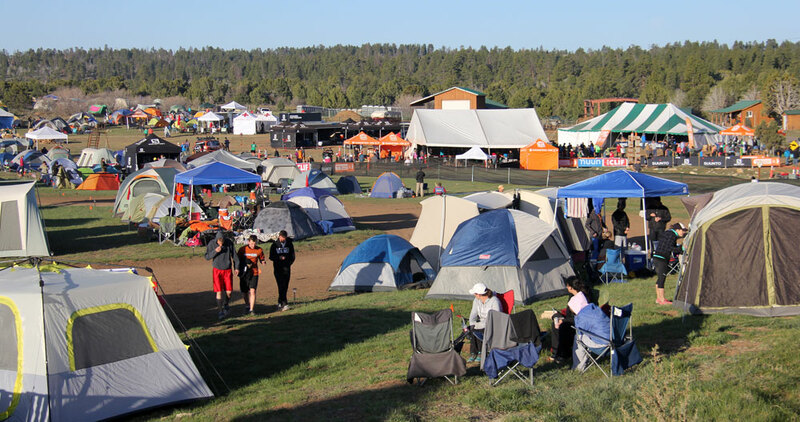 How about taking part in the 14th annual Great American Campout. This nationwide event is officially celebrated on June 23, 2018 but campers across the U.S. plan to celebrate all summer long! Part of Great Outdoors Month® in June, the Great American Campout™is an initiative by the National Wildlife Federation as a way to connect with nature and wildlife. This year’s Great American Campout theme is Happy Campers Protect Wildlife, with a goal of 100,000 registered campers. (Take the pledge.) If the goal is reached, the NWF plans to donate 5,000 native trees to the Trees for Wildlife™ program. These new trees will provide food and shelter for wildlife for years to come. 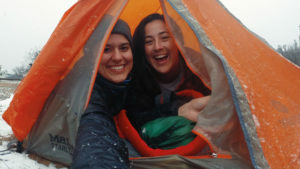 How can you join The Great American Campout? Take the pledge and then go camping! Camp at your favorite local campground or go camping at a state or national park. You can even go camping in your own backyard. Camp in tents, cabins, RVs or any way you like. If you want to take your campout to the next level, consider hosting a public campout. The benefits of camping are boundless. Exploring the great outdoors is a fun family activity that contributes to a healthy, active lifestyle. It’s an opportunity to create a lasting connection with loved ones, wildlife and nature that creates a happier, healthier you. Rough it Zion Ponderosa style at Zion Crest Campground & RV Park. Here at our serene plateau on the eastern edge of Zion National Park, campers will experience a whole new perspective of Zion. 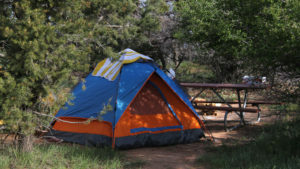 We offer a variety of camping options, including tent camping beneath the ponderosa pines or RV camping with full hookups at our RV park in the east rim of Zion National Park. Located within driving distance of Bryce Canyon National Park, Grand Canyon National Park, the Grand Staircase, Lake Powell, Cedar Breaks National Monument and Coral Pink Sand Dunes, there is so much to do in and around Zion Crest Campground. The campground has brand new bathrooms and shower house plus laundry facilities. Campers have full access to Zion Ponderosa Ranch Resort’s amenities, including a swimming pool and hot tub, restaurant, mini golf, and guided outdoor adventures such as hiking, horseback riding and Jeep tours. View our campground and resort map. 2. Don’t forget to practice the Leave No Trace rules. 3. Download a camping essentials checklist. 4. Camping is a great way to connect to nature. Check out these fun camping activities. Let us know how and when you participate in the Great American Campout. Tag us in your camping pics with #ZionPonderosa, #zioncrestcampground and #greatamericancampout. Enjoy!